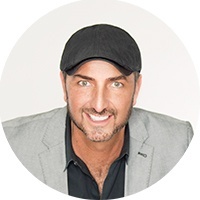 Gabe is an expert in residential real estate with over 16 years of sales success, team building, training, and system implementation. As the President of Firepoint Solutions, he focuses on building the company’s Account Management and Sales teams and collaborates with designers and developers to ensure the product is as forward-thinking as it is functional and easy to use. Gabe’s unique point of view and expertise in real estate and business development have made him Firepoint’s voice and visionary and he is always thrilled to share his knowledge with other business leaders to help them reach and surpass their own goals.